Owing to the rich experience and a competent team of experts, we are able to render DDU Shipments to our clients. Our personnel ensure to render these services with respect to the assorted requirements of respectable clients. 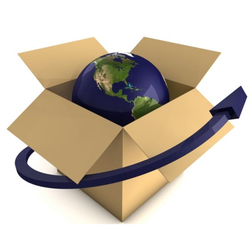 DDU Shipments are generally opted by shippers who have small shipments as samples or new products that needs to be promoted to newer markets. The services are offered to our clients at market leading price range. Our professionals also make sure to dispatch the required goods at customers' base within the scheduled time. 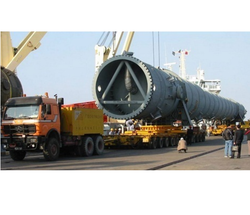 We are an eminent firm, which is engaged in providing DDU Shipments to respectable patrons. Our professionals also make sure to dispatch the goods safely and within the committed time frame at the honorable clients' base. Moreover, our professionals make sure to keep the consignment away from all kinds of damage that can occur during the transportation. The complex requirements that encompass Project Cargo execution require 'out of the box' thinking in order to create and implement effective solutions.From mining facilities, power generation plants, petrochemical and oil refineries and steel mill construction projects to the one - off heavy lift shipment – ACE Multifreight Logistics Project and ODC Cargo Handling utilizes its global Agency network of dedicated project cargo specialists to get the job done, on time and within budget. 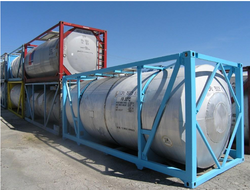 ISO Tank Container must be at least 80% full, to prevent dangerous surging of the liquids in transit. On the other hand, they must not as a rule be over 95% full, or there will not be sufficient ullage space for thermal expansion. The extent of thermal expansion may be calculated for each cargo on the basis of the formula. Tank containers intended for transporting foodstuffs must be labeled "Potable Liquids only"